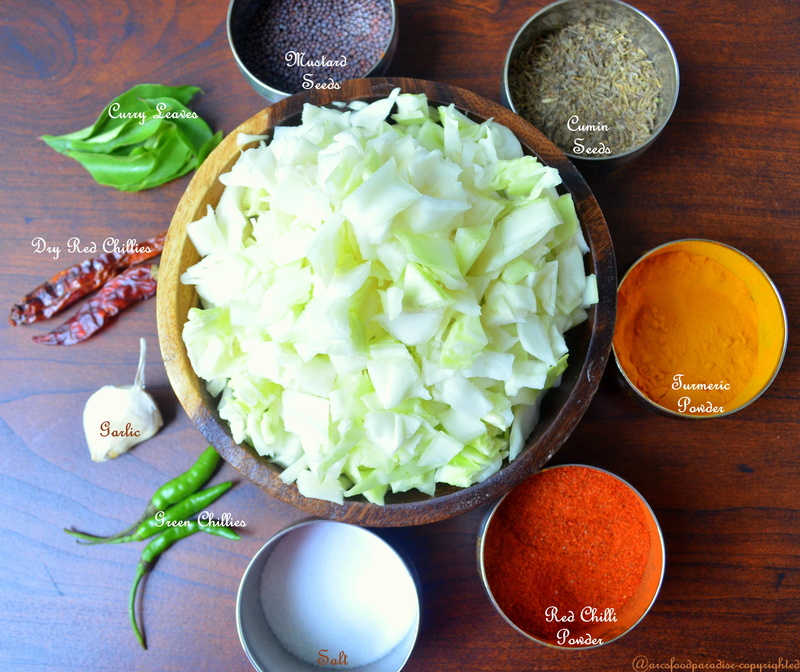 Cabbage Chutney | The Flavor Nook! I love love love chutneys! They are spicy, really quick to make, you can make them using many vegetables or fruits, and they are as good with bread or any other flat-breads as with rice. 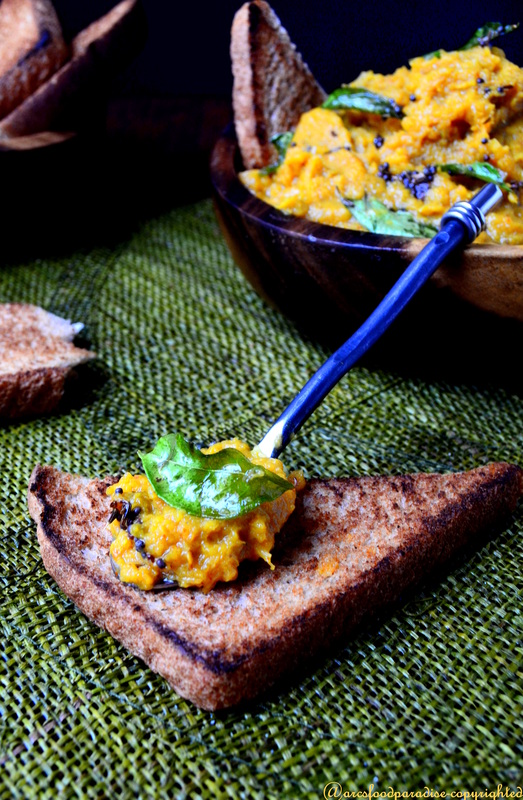 On bread use it as a spread, for flat-bread use it as a dip and for a hearty meal mix it with rice and add a tiny spoon of ghee (clarified butter) if you are feeling indulgent. Lip smacking good! Cabbage is one of my favorite veggies. I cook it regularly in our home – mostly as a curry with potatoes and peas or as koftas in a spicy gravy. And other times, when we get a super-sized, jumbo cabbage and I have enough of it left after making a curry I try to use it in noodles or make a chutney out of it. I have made this chutney a couple of times in the past few years, and the last time I made it hubby really liked it! So made this again today and thought I should share the recipe with all of you. 1. In a wide non-stick pan, heat about 2 tsps of oil. Add chopped cabbage, garlic, green chillies, dry red chillies and saute for about 5 to 6 mins. 2. Now add the spices – turmeric powder, red chilli powder and salt. Saute further for another 5 to 6 mins. 3. Remove from stove and let it cool a little. Take the mixture in a blender and blend into a smooth paste. Check the taste and add more red chilli powder (based on your desired spice level) or salt if needed. Empty into a serving bowl. 4. In a small tempering pan, heat 1 tsp of oil. Add cumin seeds, mustard seeds and curry leaves. When they dance around/splutter in the oil for a minute or two remove from stove and add to the ground paste. 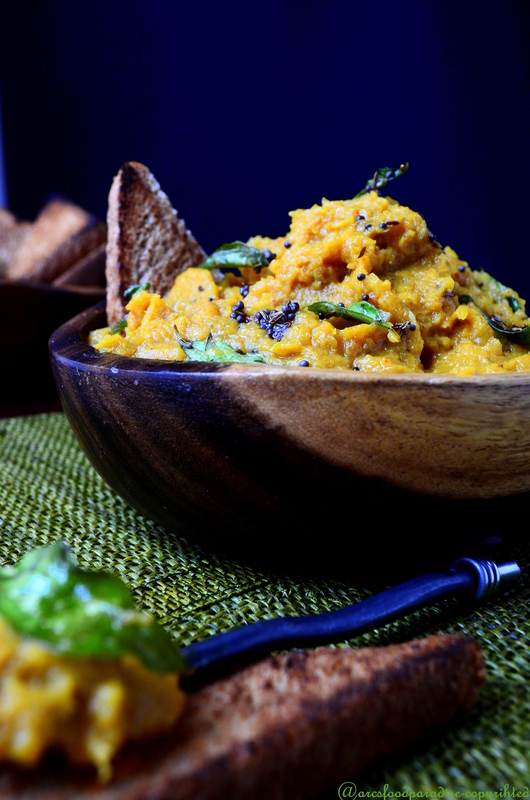 Give a quick mix and you have a spicy and tasty cabbage chutney ready which you can relish for at-least a week. 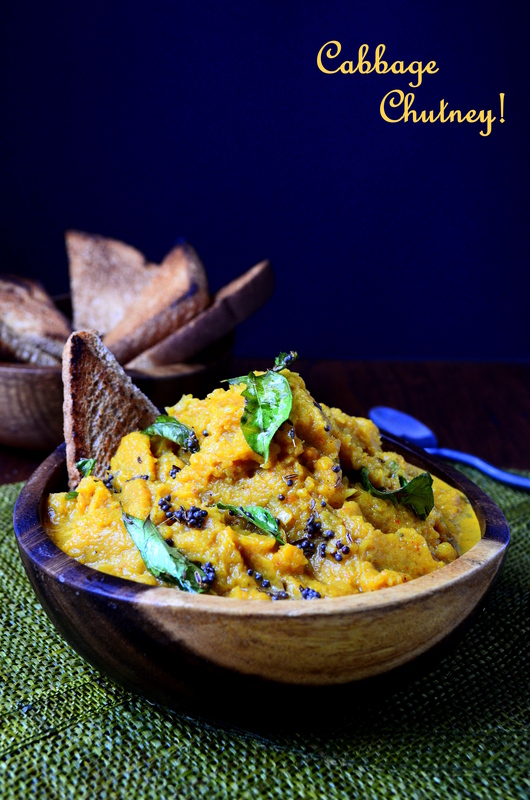 Serve with some toasted or untoasted bread or rotis or plain white rice! Whatever you have it with you are sure gonna love it! Even I hate cabbage,I would still like to give a try to this one. I too love chutneys. They make my meal lot more interesting. Good one! Thanks for sharing it. Sounds interesting. Must give it a try. 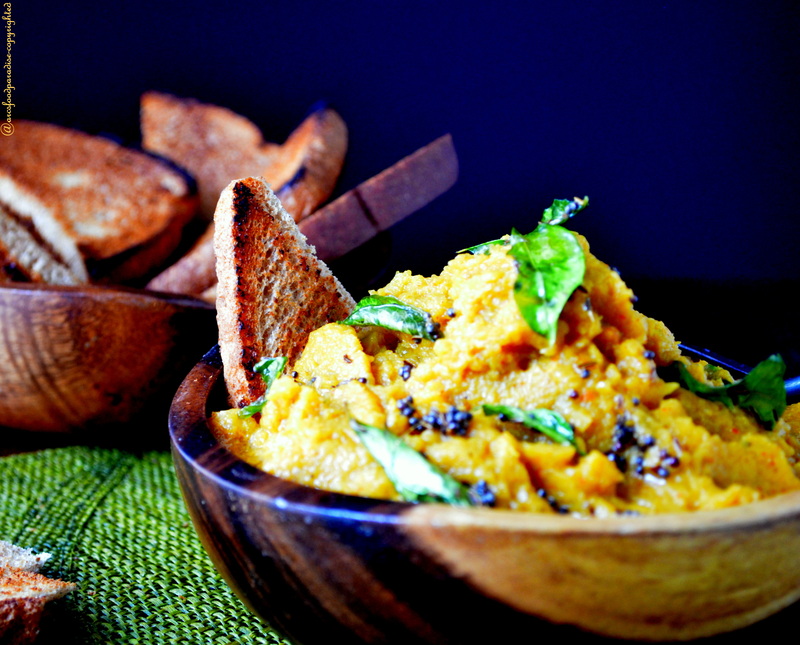 Your Andhra food recipes remind me of home.